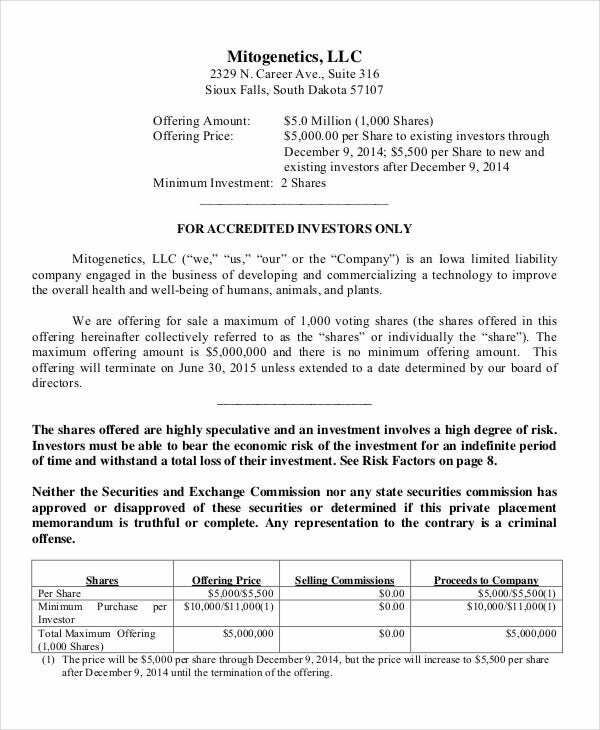 Are you thinking of investing, or are you interested in buying securities? 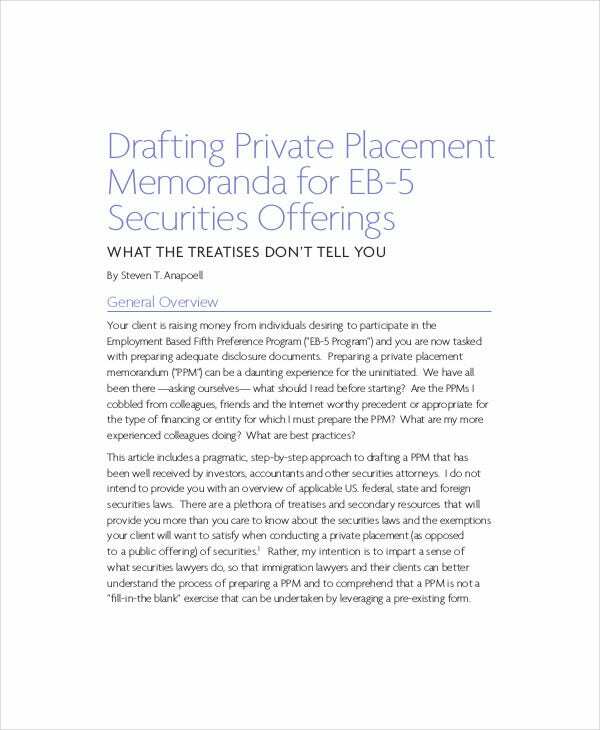 Before you are allowed to start throwing your money around, a company or LLC will first provide you with a private placement memorandum (PPM). 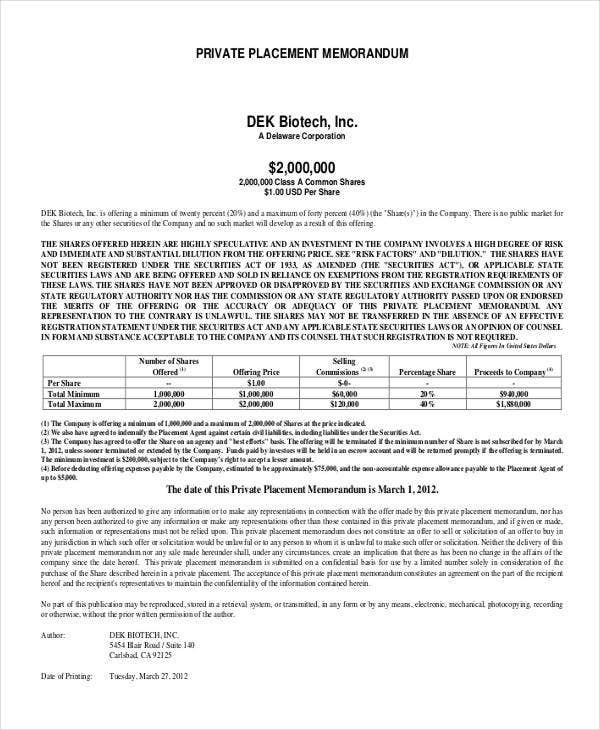 This is like a Deal Memo Template in that it is not a legally binding contract compelling you to make a purchase right away. 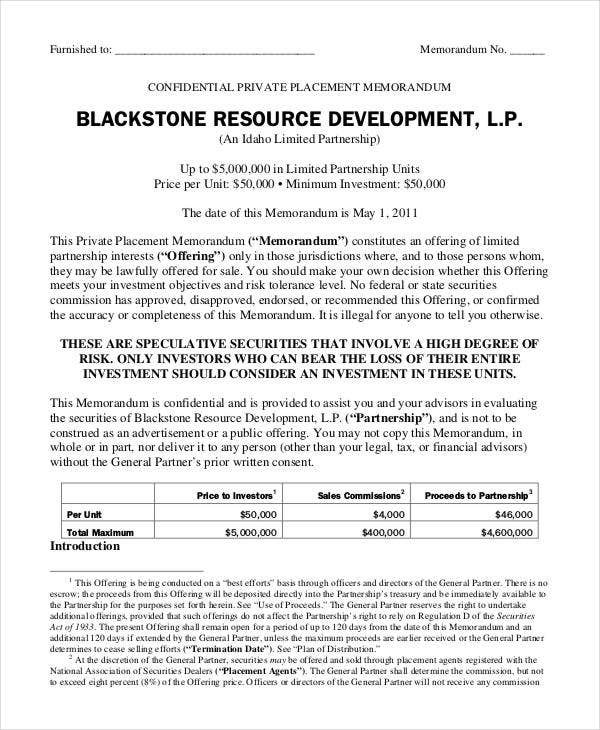 Instead it is a confidential disclosure document that gives you all the information—good and bad—that will help you, the investor, take a step back, survey the offered terms, and make an informed decision. 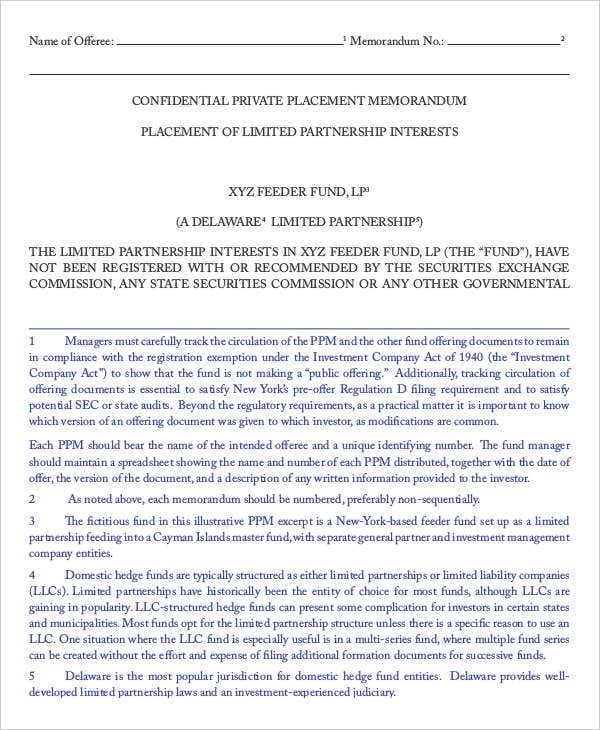 If this is your first time around as an investor, or if you are a company offering securities, you will need to be familiar with details of a standard PPM. 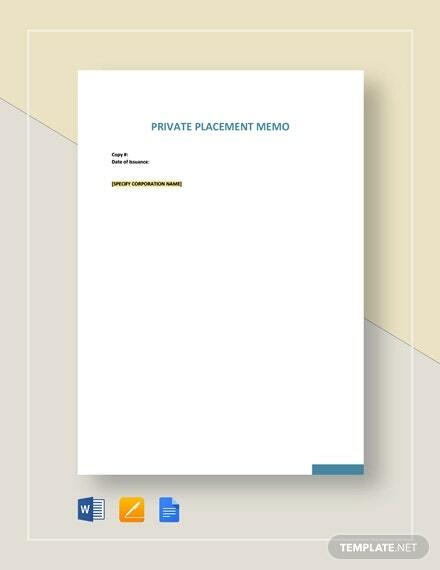 This list of free memo templates will give you the crucial information you need. 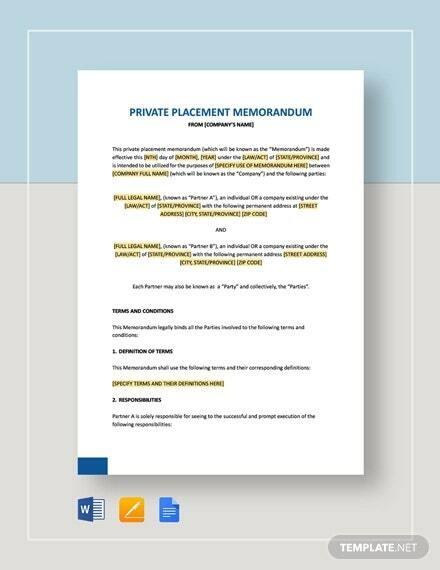 When drafting a private placement memorandum, or receiving it as a potential investor, it is important to note that this is a Confidential Memo Template as well as a Professional Memo Template. A summary of the offered terms. This will include the description of the securities on offer, including its class and attributes, price, minimum subscription amount, as well as the standards you need to qualify as an investor for this purchase. 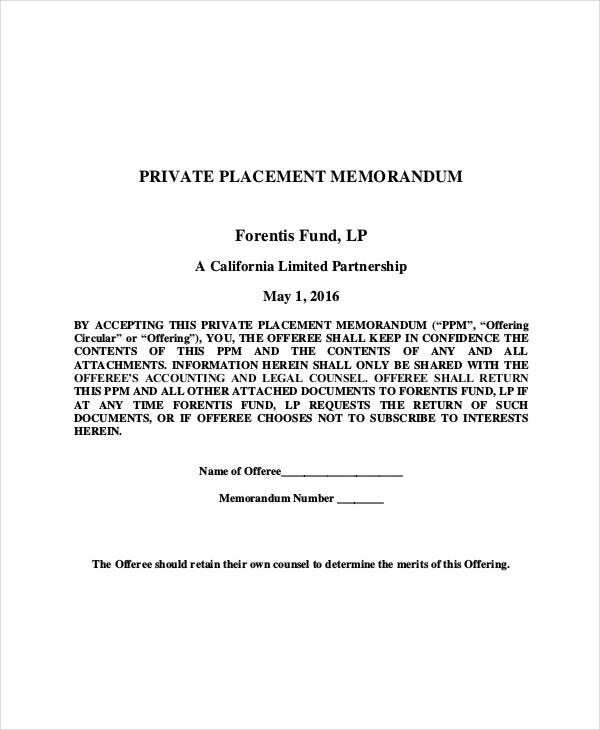 The private placement attorney prepares this section. The risk factors. 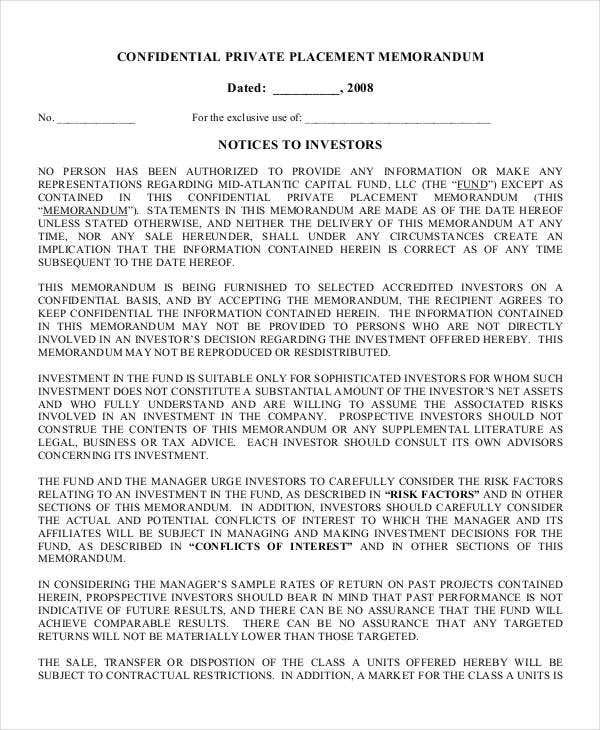 This is an important section that tells the investor what might lead to a loss of the investment. These risks are industry-specific. Proposed use of proceeds. 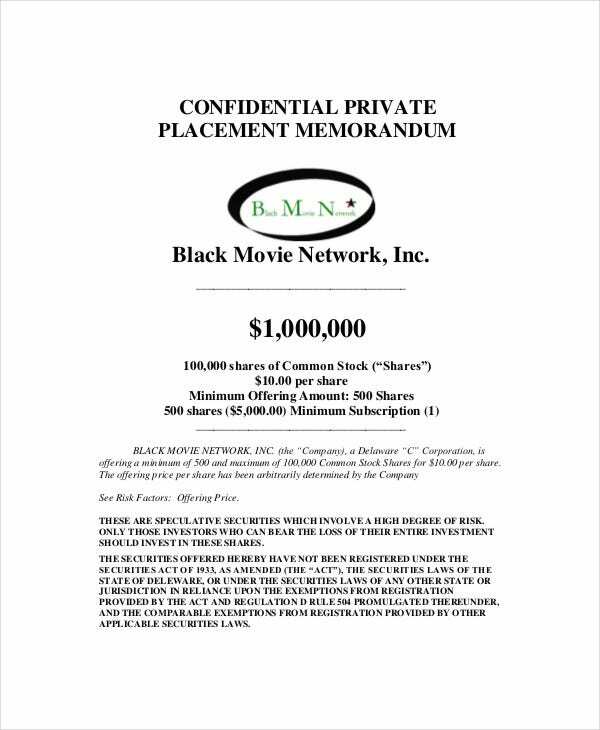 This discloses how the money from your purchase of the securities is expected to be used. Description of securities. 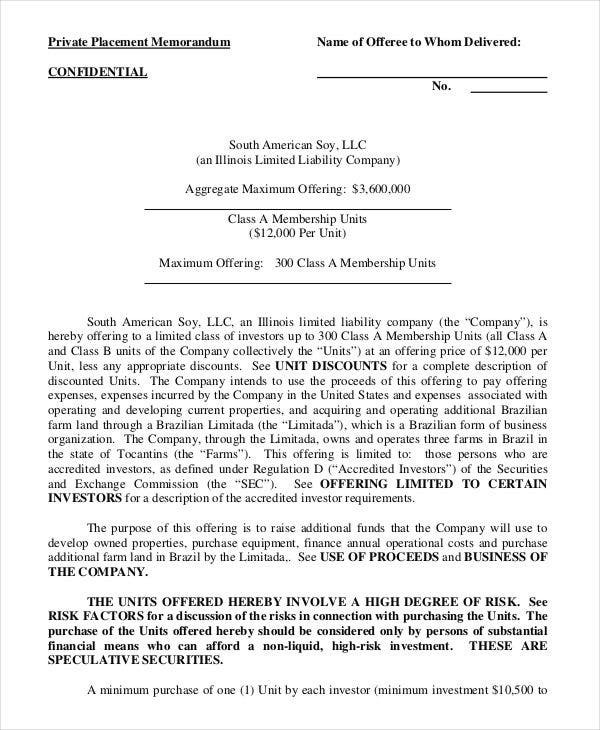 Building on the summary, here the attorney describes the attributes of the debt or equity offering, which are also mentioned in the governing documents of the company (operating agreement for LLCs). Business and management. 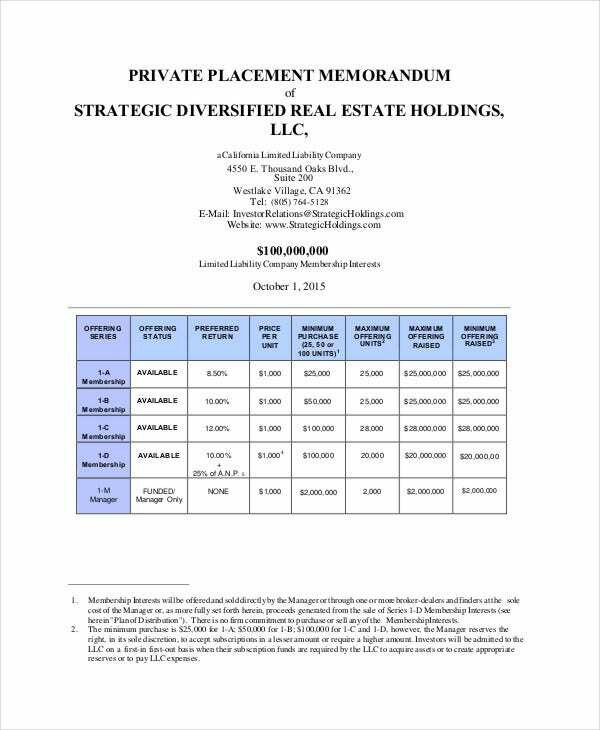 This is just where the company issuing the PPM revisits what their line of business is and what the investment opportunity will bring everyone involved. May include biographical information and founders narrative. It should be easy enough for you to pick out these sections in each of these samples. There may even be supporting documents appended to certain memos. 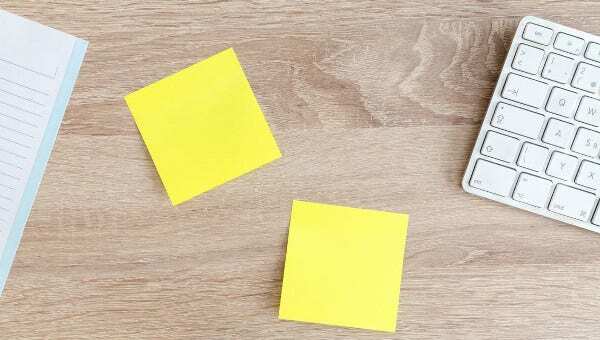 Whichever side of the transactional table you are on—investor or offering company—you can benefit from these memos. Learn the key details that appear in every PPM and you never have to worry about receiving or providing all the information necessary to make a wise decision. 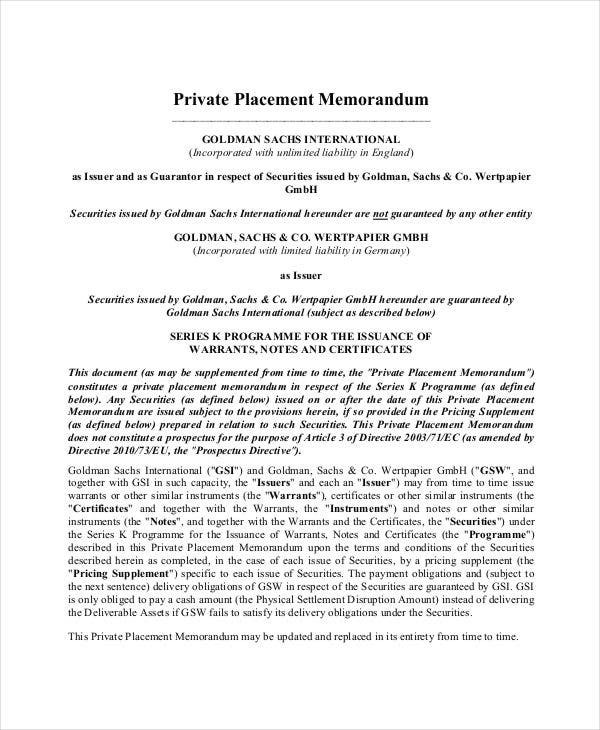 Another confidential, internal- and external-circulation memo template you might be interested in is the Army Memorandum Template, which is the primary format used in the armed forces to formally communicate with any command and staff within or without the forces.